and a skip to your step. Think twice before reading further. My Hummingbirds are Rock Stars! watching these little guys as they frolic. The BEST way to start my day! waiting patiently to capture them with my lens. over the trumpet like blossoms of this Salvia. something new to the scene. before they're off on their journey south. The first morning was hilarious. they just couldn't figure out how to get to it. I caught it all with my camera. by the next day he had it all figured out. How wonderful. I love to watch them darting around. Have a wonderful week. This was absolutely awesome... 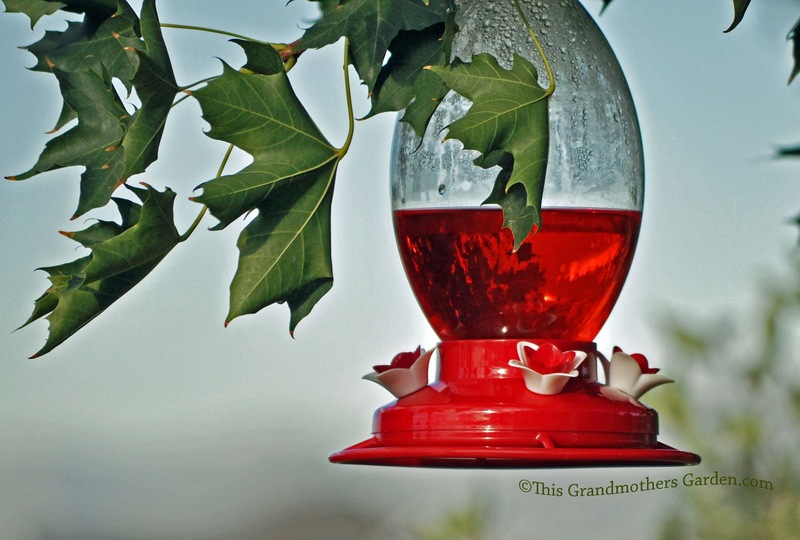 I laughed all the way through it as the hummingbirds have given me many hours of entertainment in my garden too! I even had some baby humingbirds that I had to defend from my frogs! I will be back to enjoy more of your posts. Aw, very cute! I'm glad he finally figured it out by the next day! I have the same salvia, but I don't know if the hummingbirds go for it, since it's far away from a window. 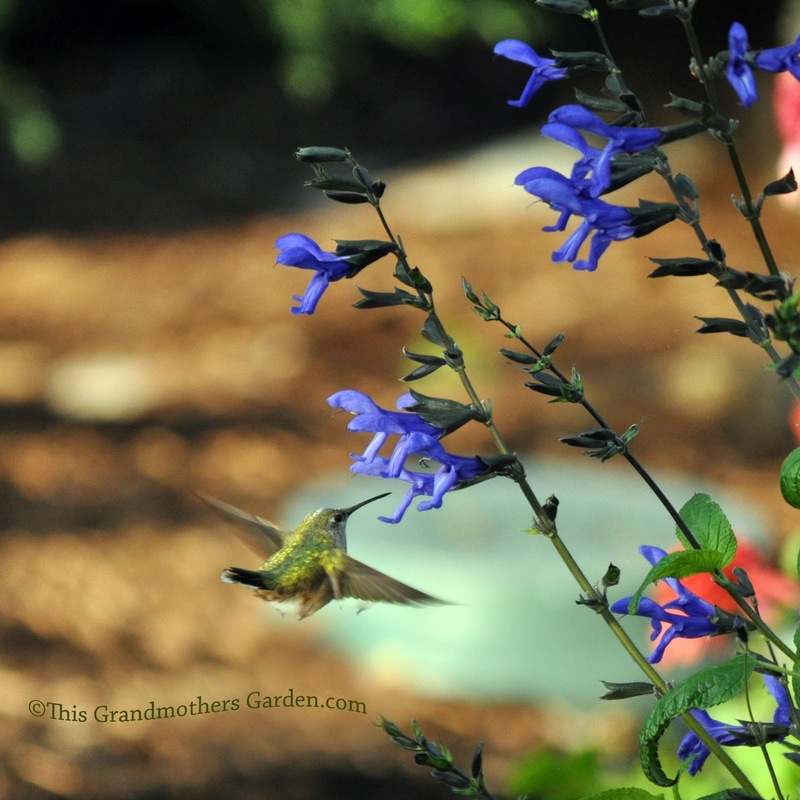 I enjoy watching them on our cardinal flowers, butterfly bush, and agastache, though! 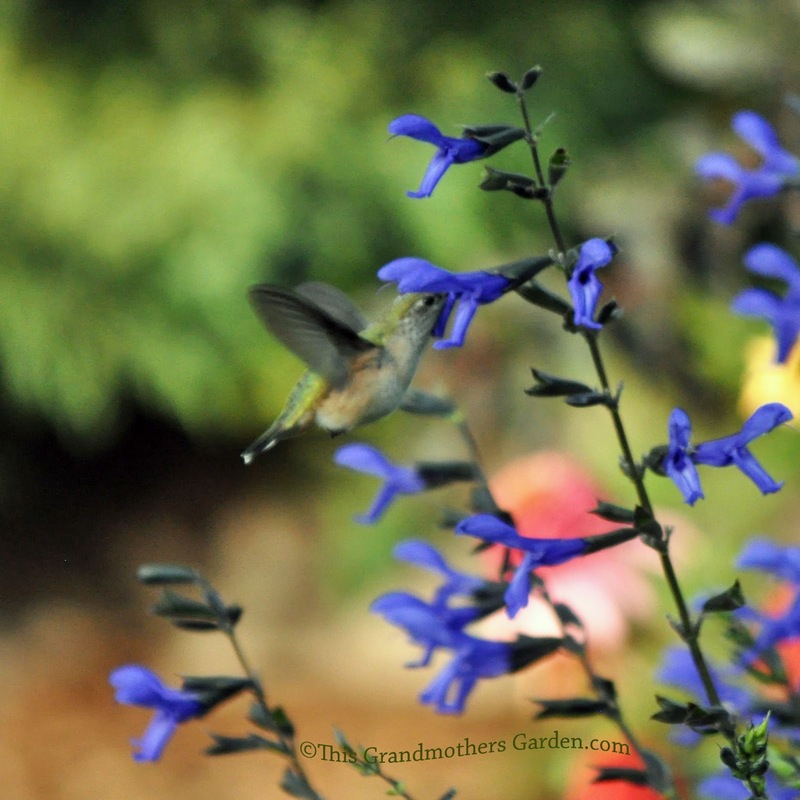 Perhaps I should plant salvia because the little birds don't seem to like my feeders. They love zinnias, too. Great photos. They are fun to watch and you took some great photos. Oh what a lovely little clip, and now you have that song that will replay in my mind all day, as you said, bringing a little smile to my face - thank You! Hi Carolyn, that is a really cute clip of your hummingbird, i hope he eventually found what he was after.